Originally developed in 1986 for the NES, Castlevania by Konami, was a high grade for its time, action platformer, that had you tasked with the defeating of the vampire Dracula. It was a game that also appeared as a graphically impressive fan based game on the ZX Spectrum as Castlevania Spectral Interlude, developed by Sanchez . 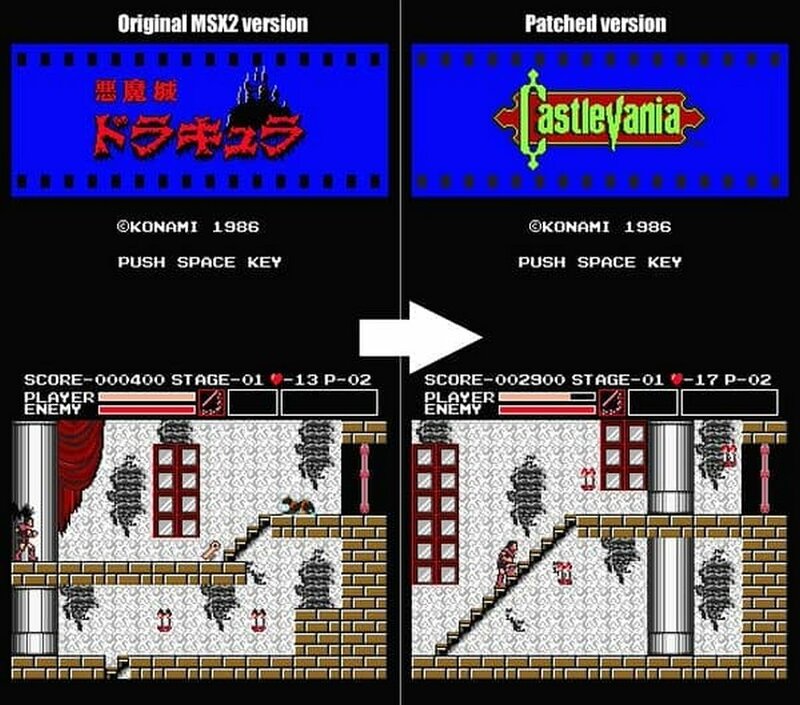 But today's news isn't so much as a fan based game or even a new game, but a MSX2 patch of the alternative MSX2 version also known as Vampire Killer, which turns the game into Castlevania. They both already share most of the background settings, enemies and music, but this goes much further. 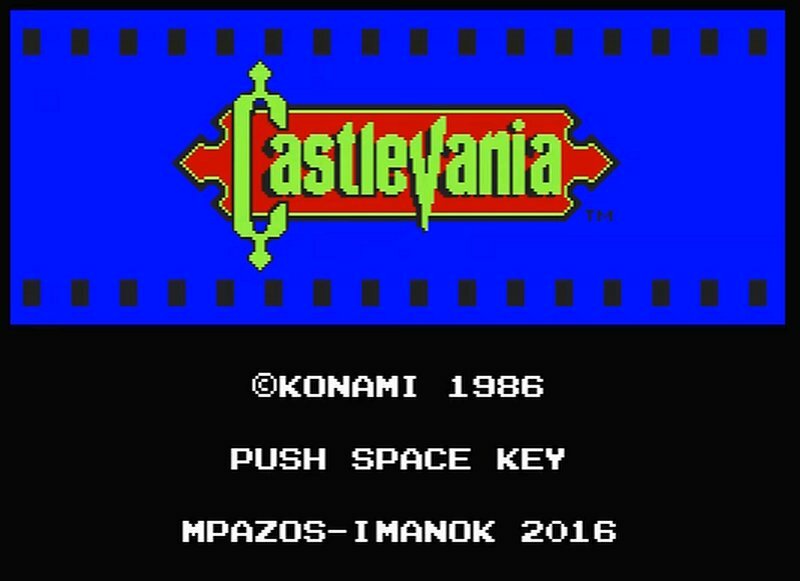 In celebration of the games 30th Anniversary, Manuel Pazos with help by Imanok, have picked up the game Vampire Killer, put it through a retro gaming blender and turned it into Castlevania. Basically it was all a funny experiment according to MSX.Org and they said " What if the MSX2 version had been developed with a gameplay similar to the FCD one? ". So the end result was, a new game logo, map and stage redesigns, castle map display after end boss, jump key remappings, boots and wings enabled by default, player turn while crouching, and much more! 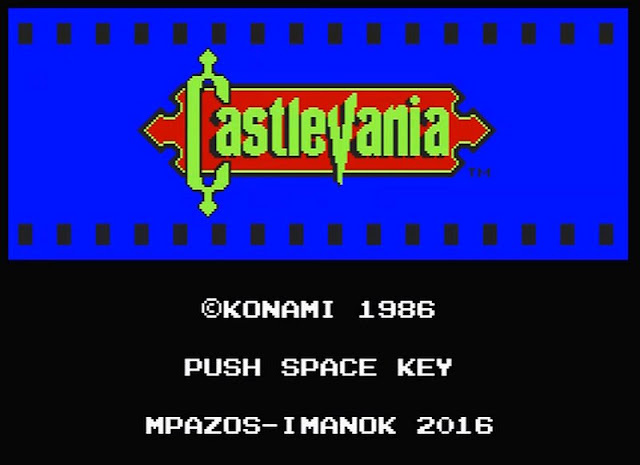 So if you have an MSX2 or using emulation, head on over to the main site and download!